Want a quick and simple solution to keeping your gate shut? 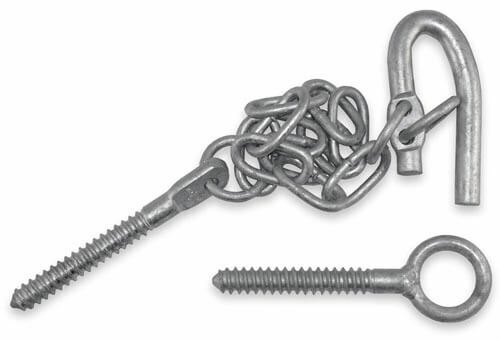 Our galvanised screw-in ring latches are an easy way to secure your gates. For a tight secure fit, use a 10mm auger to drill out the hole before screwing the latch in. This will give the 12mm thread enough timber to grab and hold it in place. Check out this video for a simple guide to correctly installing your screw-in ring latch.